So we can finally say construction is done!! How do you put into words something that is so amazing that Thank You is just not enough? I have tried to articulate our gratitude, but truly cannot come up with the right words. I can’t say that this came at the most perfect time. Within a week of this remodel being completed, Nathan stopped walking up the stairs. He would crawl up-and-down the stairs each day and you could see the fear in his face. Thanksgiving night was the first night he was able to spend in his new room. He would be sound asleep and yell “Dad am I in my new room?” He has been so excited to have this new area that has provided A safe space for him and a little more independence than what he had prior to being upstairs. His shower is HUGE and has provided for positive showering experiences. It had been about 2 years since he had a shower without screaming. He finally has a bedroom fit for a king! They even gave him a T.V. and a Sono’s system. He finally feels safe and that is a gift that we never would have been able to give him without the help of the Home Builders Foundation and Lenar homes. Every single person that entered our homes and our life were angels that lifted us out during a difficult time. We had no way to provide this to Nathan and they came in just took care of it. I asked the Foreman at the very beginning how long it would take and he told me four and a half weeks (it took five weeks -WOW). I could have never believed it would be that fast. It is unbelievable how they took a space, completely changed it and it looks as if it was always there. Grateful is the word that keeps coming to mind. We are eternally grateful for the gift of giving Nathan a better quality of life. That has always been paramount to us and without these organizations I am not sure we could have accomplished what they did. We know many by name, some by faces and some remained behind the scenes. Are we can give is the most heartfelt of thanks to every single one who came and donated time, materials or talent. Words will never do our gratitude justice but it is all we have. 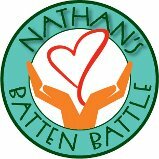 We are in a very new area with Nathan right now and new treatment/trials that are upcoming. We ask that you pray. Pray that Nathan can be considered and that any treatment that comes is a move forward. We have recently received devastating news regarding Gene Therapy that really shook us up. I had a very rare moment of losing hope. I know that hope is all we have, but it is hard to hope for something and then be let down, time and time again. Please if you could pray for us to be rejuvenated with a new sense of hope to persevere in every way possible.